Until this last week. You see, in early July we were almost all fired. 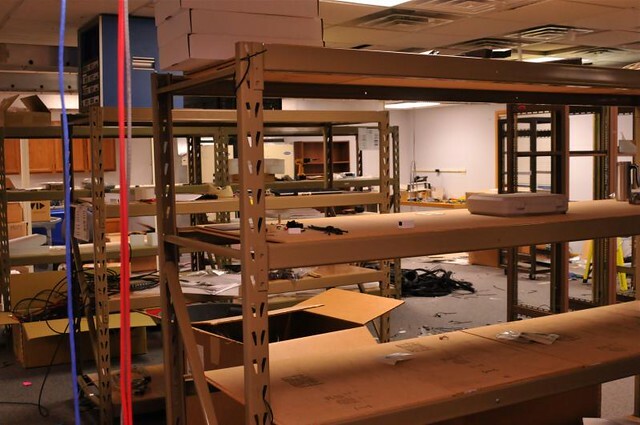 The company decided to close this MAdison office and only a handful of the forty-five employees were given an option to relocate or work from home. Alas, I was not one of them. 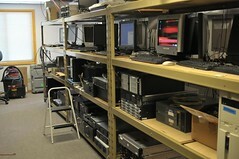 The past weeks have been spent decommissioning the building and making plans to move or discard equipment. Over the last week I had the non-pleasure of dismantling and shipping my job and all its related equipment to another state. You might understand how disheartening that is. 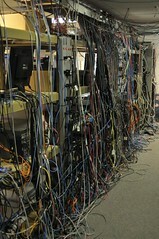 Going to work every day and watching - and participating in - tearing apart your workplace is quite challenging. To make matters worse, I will get the pleasure of traveling to set up the lab in its new location and train my replacement. Joy. Rapture. Not. In the meantime I am actively seeking employment and revitalizing my photo studio efforts. As the woman says, I will survive. Who knows, I might even have time for more blogging!